*The Following Alabama and Greene County supplemental forms are included as a courtesy with your order. Are these forms guaranteed to be recordable in Greene County	? Yes. Our form blanks are guaranteed to meet or exceed all formatting requirements set forth by Greene County including margin requirements, content requirements, font and font size requirements. What is the Alabama Conditional Lien Waiver on Final Payment? Alabama mechanic's liens are governed under Chapter 11 of the Alabama Property Code (Section 11). Throughout the construction process, potential claimants may elect to serve the property owner with a lien waiver in exchange for partial or full payment. The term "waiver" refers to giving up a legal right. In this case, the person granting the waiver is giving up the right to seek a mechanic's lien for all or part of the amount due. This assurance is usually enough to get the other party to pay. In Alabama, there are no statutory forms for waivers although according to the principles of contract law, the parties may agree to such modifications in writing. Waivers generally come in four varieties: conditional or unconditional, and partial or final. A conditional waiver means the waiver is conditioned upon the claimant receiving the amount due, while unconditional waivers are effective regardless if payment is actually made. Partial waivers are used to waive a lien for up to the partial or progress payment amount, and final waivers release all lien rights based on a customer's full payment. Use a final conditional waiver when the full and final payment is made, but there are doubts about the payment method. For instance, if there are any concerns a final check won't clear, opt for a conditional waiver. This option protects the claimant's rights to lien until the payment is confirmed, at which point the waiver goes into effect. This article is provided for informational purposes only and should not be relied upon as a substitute for the advice from an attorney. Please contact an attorney with questions about waivers or anything else related mechanic's liens in Alabama. 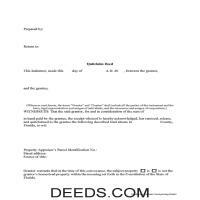 Get your Greene County Conditional Lien Waiver on Final Payment form done right the first time with Deeds.com Uniform Conveyancing Blanks. At Deeds.com, we understand that your time and money are valuable resources, and we don't want you to face a penalty fee or rejection imposed by a county recorder for submitting nonstandard documents. We constantly review and update our forms to meet rapidly changing state and county recording requirements for roughly 3,500 counties.